A game from a beloved franchise that may not have aged so well. Hey ho, everybody, it’s Meowskivich! Lately, I’ve been in the mood for Donkey Kongs, but I can’t sit up to play the ol’ Country games for too long due to surgical recovery, so it’s up to the 3DS to alleviate me of my monkey-itch. I decided to give the game Donkey Kong Land (DKL for short) a purchase, as I’ve had good experiences with DKL2 and DKL3 before. And I have to say, they’ve come a long way since the first game. 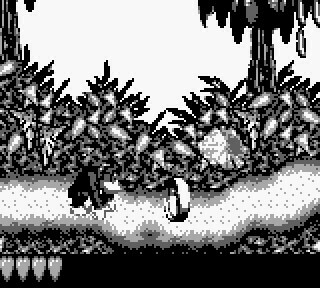 Donkey Kong Land‘s story is entirely in the “manual” (or eShop description, as the case may be): Cranky Kong got K. Rool to steal the Kong Nanner Hoard again because he doesn’t feel like Donkey Kong is a true game hero yet. Yep. That’s it. The game starts you out just on a map—no world select, and no level name. The map music is just the bonus room theme from Donkey Kong Country (DKC for short). As for the actual gameplay itself, it’s pretty much like any other Donkey Kong game since Rare got their hands on the franchise. For the one of you who doesn’t know how it plays, it’s a basic platformer where you jump on and roll into your foes. Unfortunately, Donkey Kong doesn’t have his classic ground pound move from Country, though. In stages, some of the things unique to this game are these tokens with DK and Diddy’s faces on each side, check points are circles with…space(?) inside of them, and the ends of the levels are vortexes. Also, collecting Kong letters will NOT net you lives like all the other games up to DKC Returns; collecting them will, instead, allow you to save. A weird, archaic choice. There are also minor differences in how the characters play in this game that will mess with long-time fans of the series until they get used to it. As for the level aesthetics, there are a lot of unique ones to this game, including a New York-style city theme, inside of a blimp (I guess is the best way to describe it), and last but not least, sheer madness. I think it’s supposed to be up in the clouds or something, but I can only describe those levels as clusterducks, if you catch my drift. 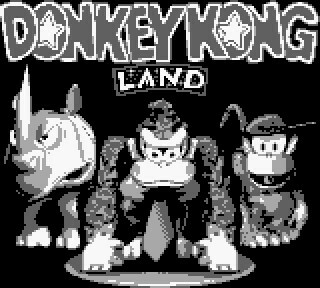 All in all, there’s a little over 30 levels across four worlds, and it’s an obvious “my first foray into the Game Boy development world”, and I can recommend this game only to the extremely bored or the long-term fans of the DKC games that really want to see the most unique of the franchise. I very much like your writing style, and this review gives me a pretty good picture of parts of the game…but I feel like it’s missing a few paragraphs? For instance, do the SNES graphics translate well to the Game Boy, are the challenges interesting and well designed, is the music any good…? Enquiring minds want to know. Looking it over again, I realize I could have done better. For what was translated, it was well. For the original foes in the game, they’re really neat (there’s this nautalis creature that will pursue you that really impresses me). The level graphics themselves could have done better, though. Like the …sky(?) levels, they really look like the tilesets just exploded and conveniently landed in the vague shape of a level. Those are the worst example, but the rest of level types are fine enough. And the music is pretty okay. Not much to say beyond that. Not exactly memorable, as I can’t remember any themes save the world map because the world map is the bonus theme.